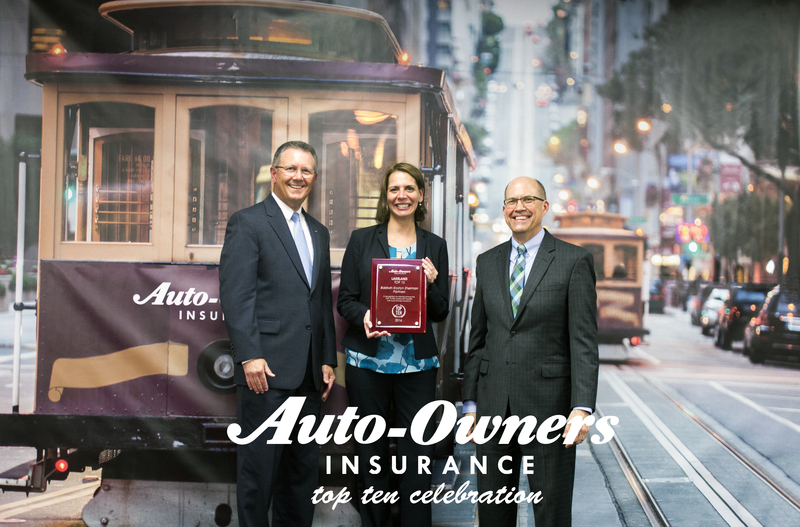 Tampa, FL (June 14, 2017) – Auto-Owners Insurance is pleased to announce the Baldwin Krystyn Sherman Partners LLC, of Tampa, has been named one of the TOP 10 growth agencies for the Company in the Lakeland Region for 2016. The agency was recognized at a luncheon meeting in Lakeland, and at a reception with all regional associates, where they and other recipients were presented with a plaque commemorating their accomplishment. Baldwin Krystyn Sherman Partners LLC has represented Auto-Owners since 2010. Auto-Owners Insurance was founded in 1916 and has served Florida since 1952. We are a Fortune 500 company and the 17th largest property/casualty insurance company in the nation, based on written premium. Auto-Owners Insurance is one of 12 insurance companies in the United States to receive the highest rating possible, A++ Superior, by A.M. Best, which is a nationally recognized rating agency for insurance companies. Auto-Owners is represented by more than 42,000 licensed agents in its 26 operating states. The company, which provides auto, home, business and life insurance to more than 3 million policyholders, is headquartered in Lansing, Michigan.